1. Хирургия аневризм головного мозга. Под ред. В.В. Крылова. В 3 т. Т. 2. М.: Изд-во Т.А. 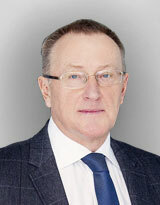 Алексеева, 2012. 516 с. 2. Hernesniemi J., Tapaninaho A., Vapalahti M. et al. Saccular aneurysms of the distal anterior cerebral artery and its branches. Neurosurgery 1992;31(6):994–8. PMID: 1470334. 4. in 60 consecutive cases. J Neurosurg 2009;110(1):7–13. DOI: 10.3171/2008.6.JNS0814. PMID: 18928355. 5. Rodríguez-Hernández A., Zador Z., Rodríguez-Mena R., Lawton M.T. Distal aneurysms of intracranial arteries: application of numerical nomenclature, predilection for cerebellar arteries, and results of surgical management. World Neurosurg 2013;80(1–2):103–12. DOI: 10.1016/j.wneu.2012.09.010. PMID: 23017587. 6. Wu C., Sun Z., Wang F. et al. [Surgical managements of peripheral intracranial aneurysms (In Chinese)]. Zhonghua Yi Xue Za Zhi 2014;94(9):698– 700. PMID: 24842213. 7. Takinami K., Hasegawa T., Miyamori T., Matumoto T. [A ruptured aneurysm in the bifurcation of the proximal anterior cerebral artery and the frontopolar artery: case report(In Japanese)]. No Shinkei Geka 2002;30(11):1191–4. PMID: 12428352. 8. Kutlay M., Colak A., Demircan N., Akin O. Distal-end aneurysm of the frontopolar artery with an atypical postoperative complication: case report. Mil Med 2006;171(2):103–6. PMID: 16578976. 9. Afshar F. Direct surgical obliteration of frontopolar artery aneurysm. Surg Neurol 1981;15(2):135–6. PMID: 7245004. 10. Aiba T., Takahashi S., Fukuda M. [Ruptured frontopolar artery aneurysm: two cases(In Japanese)]. No Shinkei Geka 2003;31(9):1009–12. PMID: 14513785. 11. Karanam L., Alurkar A., Chakka S. Endovascular treatment of frontopolar artery aneurysm. Neuroradiol J 2016;29(4):280–2. DOI: 10.1177/1971400916643338. PMID: 27048313. 12. Castaño-Leon A.M., Cicuendez M., Paredes I. et al. Coil embolization of ruptured frontopolar artery aneurysm: case report. Neurocirurgia(Astur) 2014;25(2):73–6. DOI: 10.1016/j. 14. Лебедева Е.Р., Колотвинов В.С., Сакович В.П., Медведева С.Ю. Системная дисплазия соединительной ткани и клинические проявления интракраниальных аневризм. Нейрохирургия 2013;(2):42–8. 15. Ткачев В.В., Лепшоков М.Х., Кран О.И., Музлаев Г.Г. Лечение множественных дистальных субтенториальных аневризм, сочетающихся с артериовенозной мальформацией мозжечка. Журнал «Вопросы нейрохирургии им. Н.Н. Бурденко» 2012;76(5):48–52. 16. Biondi A., Jean B., Vivas E. et al. Giant and large peripheral cerebral aneurysms: etiopathologic considerations, endovascular treatment, and long-term follow-up. AJNR Am J Neuroradiol 2006;27(8):1685–892. PMID: 16971615. 17. Sakamoto S., Ikawa F., Kawamoto H. et al. Acute surgery for ruptured dissecting aneurysm of the M3 portion of the middle cerebral artery. Neurol Med Chir (Tokyo) 2003;43(4):188–91. PMID: 12760497. 18. Wisoff J.H., Flamm E.S. Aneurysms of the distal anterior cerebral artery and associated vascular anomalies. Neurosurgery 1987;20(5):735–41. PMID: 3601020. 19. Крылов В.В., Галанкина И.Е., Дашьян В.Г. и др. Успешное двухэтапное хирургическое лечение гигантской аневризмы дистального отдела средней мозговой артерии. Нейрохирургия 2003;(2):46–9. 20. Крылов В.В., Нахабин О.Ю., Винокуров А.Г. и др. Успешное выключение из кровотока аневризмы правой каллезомаргинальной артерии с созданием интра-интракраниального анастомоза. Нейрохирургия 2013;(4):58–63. 21. Сазонов И.А. Аневризмы дистальных сегментов передней мозговой артерии (перикаллезные аневризмы). Клиника, диагностика и особенности хирургического лечения: автореф. дис. … канд. мед. наук. М., 1998. 27 с. 22. Dinc C., Iplikcioglu A.C., Bikmaz K. Distal anterior cerebral artery aneurysms: report of 26 cases. Neurol Med Chir (Tokyo) 2006;46(12):575–80. PMID: 17185882. 23. Lehecka M. Distal anterior cerebral artery aneurysms. Academic Dissertation. Helsinki: Helsinki University Press, 2009. 367 p.
24. Mann K.S., Yue C.P., Wong G. Aneurysms of the pericallosal-callosomarginal junction. Surg Neurol 1984;21(3):261–6. PMID: 6695321. 25. Shukla D., Bhat D.I., Srinivas D. et al. Microsurgical treatment of distal anterior cerebral artery aneurysm: a 25 year institutional experience. Neurol India 2016;64(6):1204–9. DOI: 10.4103/0028-3886.193827. PMID: 27841188. 26. Sindou M., Pelissou-Guyotat I., Mertens P. et al. Pericallosal aneurysms. Surg Neurol 1988;30(6):434–40. PMID: 3222721. 27. Perlmutter D., Rhoton A.L. Jr. Microsurgical anatomy of the distal anterior cerebral artery. J Neurosurg 1978;49(2):204–28. DOI: 10.3171/jns.1978.49.2.0204. PMID: 671075. 28. Сидорак А.Д., Цимейко О.А. Топографо-анатомические характеристики и выбор хирургического доступа к аневризмам дистальных сегментов передней мозговой артерии. Неврология и нейрохирургия. Восточная Европа 2014;(3):100–5. 29. Steven D.A., Lownie S.P., Ferguson G.G. Aneurysms of the distal anterior cerebral artery:results in 59 consucutively managed patients. Neurosurgery 2007;60(2):227–33. DOI: 10.1227/01.NEU.0000249267. 33945.E7. PMID: 17290172. 30. De Sousa A.A., Dantas F.L., de Cardoso G.T., Costa B.S. Distal anterior cerebral artery aneurysms. Surg Neurol 1999;52(2):128–35. PMID: 10447278. 31. Lee J.W., Lee K.C., Kim Y.B., Huh S.K. Surgery for distal anterior cerebral artery aneurysms. Surg Neurol 2008;70(2):153–9. DOI: 10.1016/j.surneu.2008.03.012. PMID: 18482760. 32. Petr O., Coufalová L2, Bradáč O. et al. Safety and efficacy of surgical and endovascular treatment for distal anterior cerebral artery aneurysms: a systematic review and meta-analysis. World Neurosurg 2017;100:557–66. DOI: 10.1016/j.wneu.2016.11.134. PMID: 27923755. 33. Proust F., Toussaint P., Hannequin D. et al. Outcome in 43 patients with distal anterior cerebral artery aneurysms. Stroke 1997;28(12):2405–9. PMID: 9412622. 34. Kwon T.H., Chung H.S., Lim D.J. et al. Distal anterior cerebral artery aneurysms: clinical features and surgical outcome. J Korean Med Sci 2001;16(2):204–8. DOI: 10.3346/jkms.2001.16.2.204. PMID: 11306748. 35. Miyazawa N., Nukui H., Yagi S. et al. Statistical analysis of factors affecting the outcome of patients with ruptured distal anterior cerebral artery aneurysms. Acta Neurochir (Wien) 2000;142(11):1241–6. PMID: 11201638. 36. Orz Y. Surgical strategies and outcome for distal anterior cerebral arteries aneurysms. Asian J Neurosurg 2011;6(1):13–7. DOI: 10.4103/1793-5482.85628. PMID: 22059099. 37. Pandey A., Rosenwasser R., Veznedaroglu E. Management of distal anterior cerebral artery aneurysms: a single institution retrospective analysis (1997–2005). Neurosurgery 2007;67(5): 909–17. DOI: 10.1227/01.neu. 0000303186. 26684.81. PMID: 18091267. 38. Suzuki S., Kurata A., Yamada M. et al. Outcome analysis of ruptured distal anterior cerebral aneurysms treated by endosaccular embolization and surgical clipping. Interv Neuroradiol 2011;17(1):49–57. DOI: 10.1177/159101991101700108. PMID: 21561558.